On April 18, 2018, Russian defense minister Sergei Shoigu announced that the year’s military parade in Moscow, commemorating the Soviet victory over Nazi Germany in World War II, will feature new and advanced weaponry. He noted that for the first time ever, “the Uran-9 combat multifunctional robotic system, the Uran-6 multipurpose mine-clearance robotic vehicle and Korsar short-range drones” will appear along with other land and air weapons. This announcement is momentous. 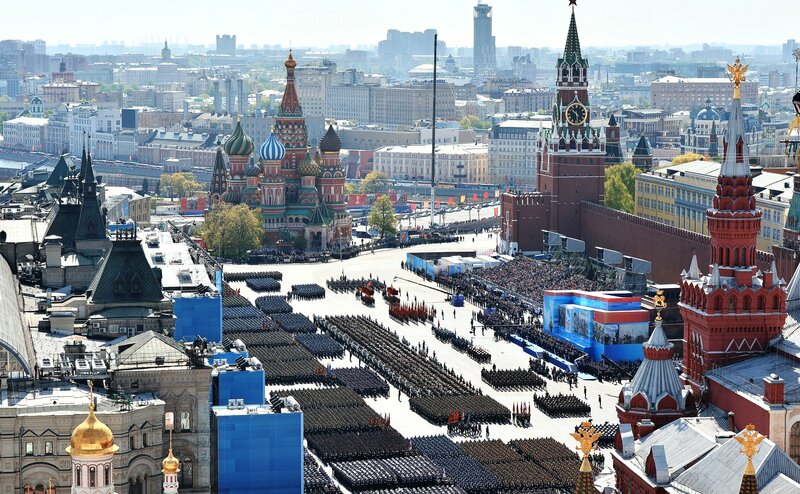 Victory Day parades are back in fashion in Russia after a brief hiatus from the annual military pageantry of the Soviet days. The parades display new and old weaponry, from World War II-vintage tanks to the latest combat vehicles, missiles and warplanes. It was probably just a matter of time before the Russians started showing off their unmanned military systems. Over the past several years, Russian Federation has made great strides in developing a wide variety of aerial, ground and sea drones. Unmanned aerial vehicles have seen extensive use in Russian operations. A growing number of unarmed ground vehicles handle demining and surveillance missions. That’s why Russia’s decision to display these particular unmanned systems is so interesting. Of the three vehicles Shoigu named, only the unarmed Uran-6 has seen actual operational use, most notably in Syria. Uran-9 has been undergoing testing and evaluation by the Russian ministry of defense. Given its P.R.-ready looks — it’s like a small-scale tank— this particular UGV has appeared frequently at various domestic and international exhibitions. For its part, the Korsar UAV is virtually unknown outside the military. In 2015 and 2016, the Kremlin announced that production would commence in 2017. However, the manufacturer of the UAV apparently didn’t start mass production until 2018. That said, Russia has operated a large fleet of UAVs in Ukraine and Syria – the short-range Eleron-3 and the longer-range Orlan-10 and Forpost, the latter a licensed copy of the Israeli Searcher drone. There are other, smaller UAVs in Russian service. Their absence at parades is striking, in light of the decision to showcase other unmanned systems in the first place. The absence of these two vehicles in the May 9 parade is also curious, given the extensive publicity they have gotten since 2016. Additionally, the Russians already showcased “Platforma-M” guard UGV — at the May 9 Victory parade in Kaliningrad as far back as 2014. Another key unmanned system will be absent in May 2018 – the Orion-Elong-range UAV that was unveiled with great fanfare at 2017’s military exhibition. The selection of one particular unmanned system over another may have to do with logistics, internal politics or other factors. Still, selecting an unknown UAV over several others that have proven themselves in service is a … curious decision. Perhaps Russia is saving these other unmanned vehicles for future parades. Belarus, Kazakhstan, Armenia, Azerbaijan, China and Iran are among the growing number of nations that have displayed domestic and imported unmanned military systems in their military parades. May 9, 2018 is definitely not the last day Russia will showcase unmanned systems, given the resources it’s dedicating to their design, production and use. Samuel Bendett is a research analyst at CNA and a fellow in Russia studies at the American Foreign Policy Council.